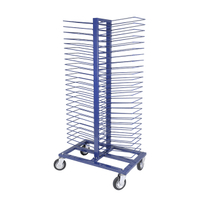 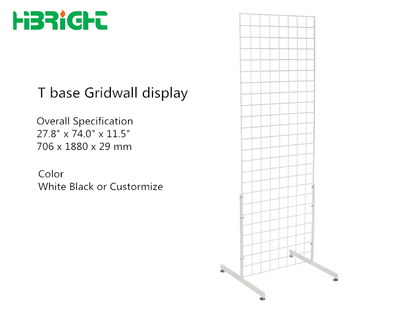 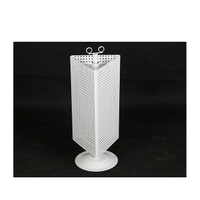 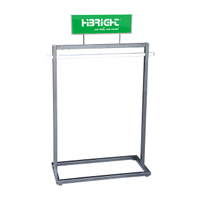 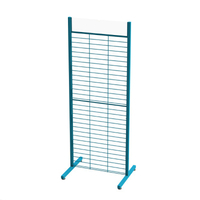 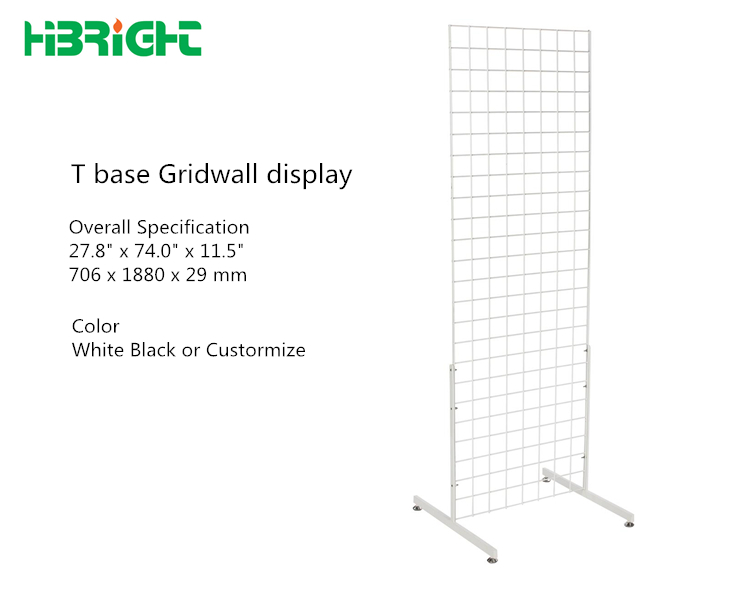 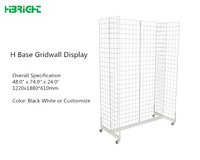 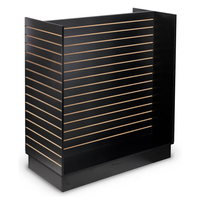 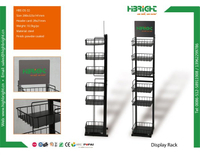 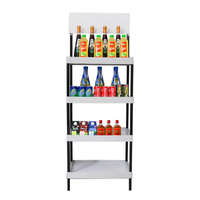 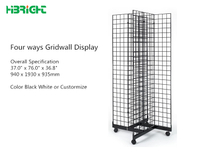 This freestanding gridwall comes with everything needed to create 2' wide x 6' tall wire grid display stands. 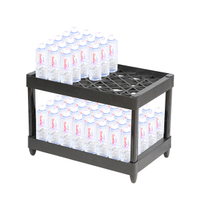 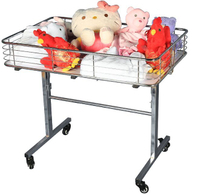 Each easy-to-assemble fixture features two T-style metal base supports with floor levelers for maximum stability. 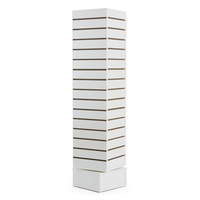 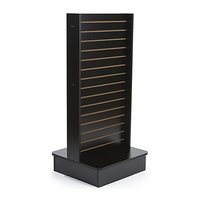 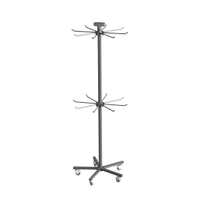 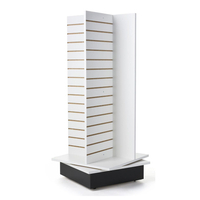 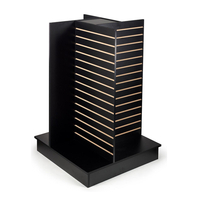 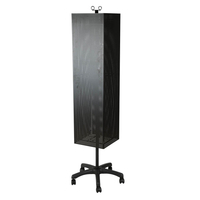 These floor standing double-sided fixtures are perfect for use in retail and commercial environments. 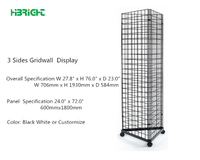 The gridwall is also lightweight enough to transport easily to offsite events such as trade shows. 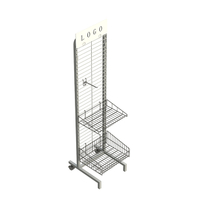 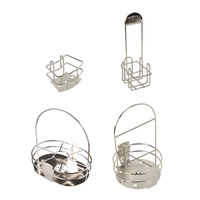 Durable steel wire fixtures like this retail store display kit are easily customized with accessories for custom merchandising and advertising.